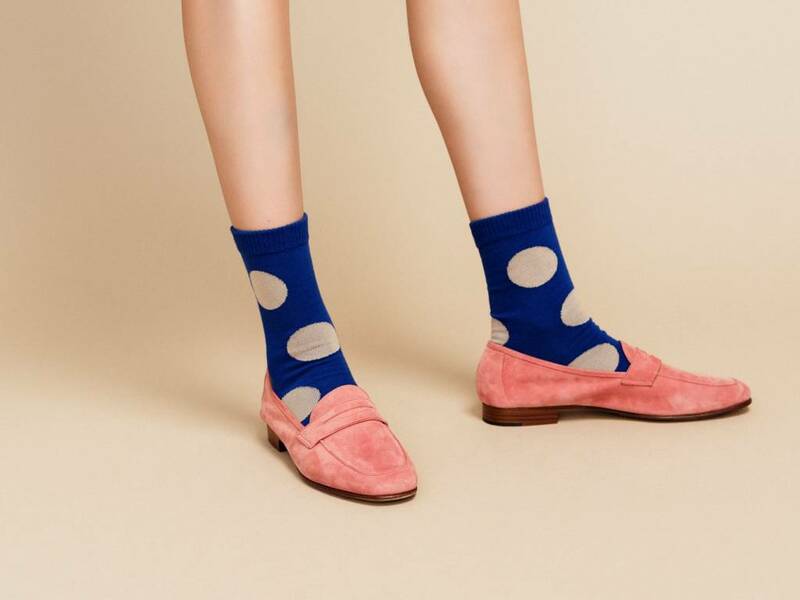 Socks are arguably the most underrated accessory that has a subtle yet substantial impact on an outfit. At first glance, Lille is a lingerie lover's haven. An accurate assessment to be sure with such colors, textures, and quality undergarments lining our walls. However, often overlooked are the fun array of socks also available. Our selection of hosiery really needs a much deserved shout-out. Admittedly, I never gave socks much attention. For so much of my life, I purchased white tube socks at the department store to be used for the gym and yard work. However, after being introduced to the likes of Hansel from Basel, The Great Eros, and Base Range, my wardrobe has an added layer of unique style that acutely displays my personality. Socks aren't just for keeping your feet from smelling anymore, people! They're as much an outfit accessory as a hat or purse. And much more affordable! Hansel from Basel, the largest supplier of socks for Lille, has unique designs and patterns that somehow become even cuter with every new season. I'm particularly keen on the socks that feature sheer panels and geometric shapes - these look amazing shown off with some heels and a skirt. The Great Eros is a brand that can dabble in a little bit of everything and still somehow manage to turn everything they touch to gold. While they also have lingerie and loungewear lines, their socks are to be gazed upon with hushed reverence. Subtle elegance is the name of the game and they knock it out of the park with every pair. Lastly, Base Range is a brand known for quality and comfort. To be sure, they don't skimp when it comes to their offering of socks. A personal favorite are their thigh-high socks. These are as practical as they are adorable. The pair featured in the photo are made from merino wool and silk.